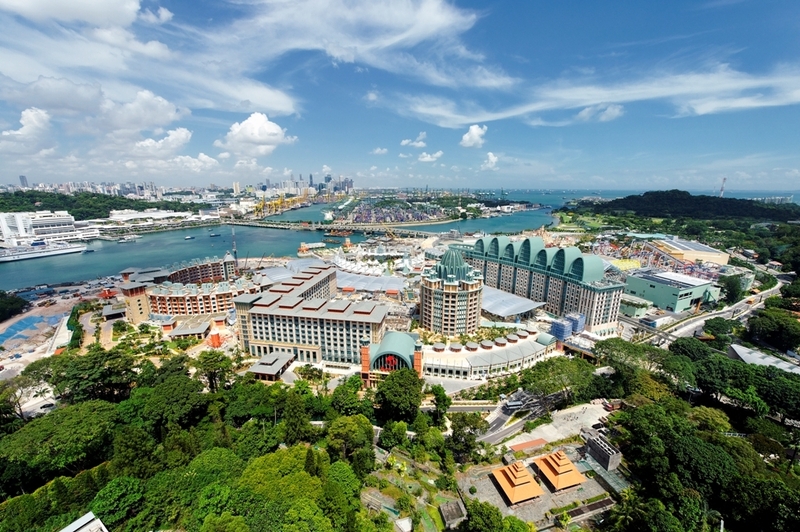 The third most expensive casino in the world, the Sentosa resort cost almost US$5 billion to build. The resort encompasses six hotels, each with a different theme, a casino, a Universal Theme Park, a marine life park and the largest Oceanarium in the world with more than 100000 marine animals. It makes sense for a bank to be one of the most expensive buildings in the world. This 72-floor tower bank cost US$2 Billion to build and was designed by I. M. Pei & Partners. It had a minor role in the Hollywood films Battleship and Transformers: Age of Extinction. It’s considered an aggressive building when it comes to Feng Shui, as the edges of the triangles at the front point to its competitors. In Feng Shui triangles can be seen in a negative way and can be used as a “direct attack”. Business man Mukesh Ambani is worth an estimated $22.3 billion, so dropping $1 Billion on his home is probably like, no biggie. His family ‘home’ is actually a 27-storey skyscraper in Mumbai and contains three helipads, 168 parking spaces, 9 elevators, terraced gardens, a 2-storey recreation centre and a temple. Marble and crystal emblems of the sun and the lotus recur throughout the 400,000 square-foot property, which is home to Ambani, his wife and three sons. And all their staff, of course. 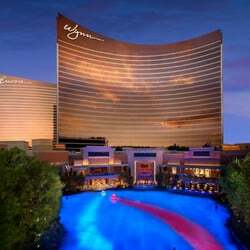 This US$2.7 billion luxury resort on the Las Vegas strip covers 215 acres is said to be one of the finest hotels in the world. The resort has accumulated many accolades including the AAA five diamond, Mobil five-star, Forbes five-star, Michelin five star and is constantly topping lists for the best hotels in the world. It houses its own luxury car dealership, a curtain waterfall and made-made ‘lake of dreams’ inside the property. One of the most expensive skyscrapers of all time and the tallest building in the Western Hemisphere, the One World Trade Centre, or Freedom Tower, was built in memory of those who lost their lives in the September 11th Terrorist attack in 2001. Skidmore, Owings & Merrill’s 541-metre-high tower on the Ground Zero site cost around $3.9 billion USD to build. The base footprint is nearly identical to the previous trade towers and includes a windowless concrete base, designed to evade ground-level attacks and is illuminated by LED lights at night. 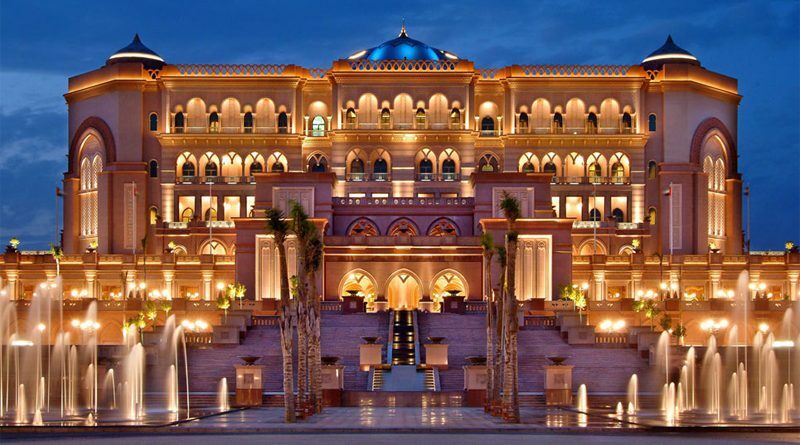 Built by the Abu Dhabi government at a cost of 3 billion USD, the palace is situated on 1.3k of private beach, and was built as a means to showcase Arabian culture. The luxury hotel claims to go ‘beyond 5-stars’ and has even been referred to as a ‘7-star’ resort. 6000m² of 22 carat gold leaf; over 1,000 Swarovski crystal chandeliers, 114 80m high domes decorate the palace including one of the world’s highest domes. A standard room will set you back £300 a night but you’ll be well looked after, the staff here outnumber the guests at three to one. This residential tower has 101 floors, contains 763 high-end apartments, 957 parking spaces, and cost an estimated 2.7 Billion USD. The second tallest building in Dubai, the apartments boast marble floors and sea views, high-speed elevators, indoor and outdoor pools, gyms, playgrounds and retail outlets. The sacred mosque in the city of Mecca is not only Islam’s holiest place and largest mosque, it’s also the most expensive building in the world. Each year millions of Muslims visit the mosque to perform the Hajj pilgrimage, which is one of the Five Pillars of Islam. They must walk 7 times around the Kaaba in a counter clockwise direction. Muslims around the world also face the Kaaba during their prayers, this is called facing the Qiblah. With all that in mind it’s clear to see why it’s such an important building. The mosque covers an area of 88.2 acres and the square foot is sometimes referred to as the ‘holy metre’ as it costs over 11,452.84 USD. Columns are painted in gold, mosaics adorn countless walls and the in-house prayer room can house up to 2 million worshipers.